Genetic testing is therefore becoming the answer to people whose families seem to be predisposed to certain kinds of cancer. According to the ACS, “genetic testing is the use of medical tests to look for certain mutations in a person’s genes. Many types of genetic tests are used today, and more are being developed.” In a nutshell, if you are from a family with a certain history of cancer, then you can undergo genetic testing for it to ensure that you do not have a mutated form of the gene. If you do, then that means you may have cancer in the future, and this would lead to earlier diagnosis and therefore, possible recovery. A human is thought to have 20,000 to 25,000 genes. These genes determine the “blueprint” of our cells—which carries information such as the inherited traits we get from our parents. These traits can include the color of our skin, eyes, and hair, as well as certain inherited diseases such as asthma, skin diseases, and certain kinds of cancer. Genetic testing is handy in cancer testing in such a way that it can say if a patient has a mutated form of a gene typically associated with a cancer. A healthy cell develops, divides, and then dies. In a mutated cell however, the cell can tend to grow, divide, and spread to other parts cells. In other words, the mutations can cause the cells to grow out of control. This is usually an indicative sign of cancer. However, although genetic testing can help lead to a diagnosis, it nonetheless have its limitations. For instance, testing positive for a certain kind of cancer does not mean you will automatically have the cancer in the future—it just means that you have gene mutations known to cause that cancer. On the other hand, testing negative for a particular disease does not mean you will automatically not get it—it just means you don’t have the gene mutation known to cause it. To explain it better, even if you do not have a gene mutation that is associated with colon cancer, but still have an unhealthy lifestyle that is known to cause the cancer, then you might still get it in the future. 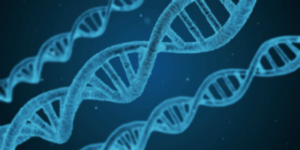 Carrier testing – this is for people who have a family history of genetic diseases, such as cystic fibrosis. Having a carrier testing performed prior to conceiving will give you an idea if you are a carrier for the genetic disease. If you are, then that means you can pass on the disease to your future offspring. If you tested negative, then that means you do not have that mutated gene and would therefore be free to have a child without the fear of your baby having the genetic disease. Diagnostic testing – this is used when you are displaying symptoms of a disease known to have genetic factors, such as Huntington’s disease. This will help doctors rule out what is causing your symptoms and determine if you have the associated disease. Newborn screening – all states in the US require newborn screening for certain metabolic and genetic abnormalities. This helps healthcare professionals give newborns the treatment they need for congenital diseases. Presymptomatic and predictive testing – this is the kind of testing that is popular to people with family histories of cancer. This genetic testing scours your genes for certain genetic markers that are associated with the disease, such as colon cancer. This is important because you would know if you are predisposed with the disease prior to having symptoms—meaning to say, if you were to have cancer, you would be able to nip it from the bud before it grows. Preparation is imperative for you to get a successful result. Prior to the testing, you have to know your family’s medical history as much as you can. This will help you determine if you are a candidate for genetic testing, or if you are not at risk of the disease. Next, you also have to check with your health insurer as not all health insurance policies cover genetic testing. However, if you are at high risk of getting the disease, then the minimal sum would be worth it should it result to the early diagnosis of a disease. Once you know your family’s medical history and your risk for the disease, it’s time for the genetic testing. The testing is normally administered through a blood sample or a cheek swab, both procedures with minimal discomfort. When you will get your result depends on the type of test you went through and the medical facility that tested you. However, you would need your doctor’s guidance to properly interpret the results. You can go to a genetic counselor or to your doctor to help you understand your test results, and to get recommendations on what to do next should your test be a positive or a negative. In some instances, genetic counselors or your doctor can request that your other family members be tested for the same strain of the disease. While getting a tested for a possible genetic mutation might sound daunting, it is actually for your own benefit if you are at high risk for a disease. Talk to your doctor about the need for you to undergo testing.